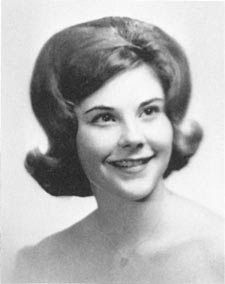 The former First Lady, as a teen, ran a stop sign and caused a fatal car crash. In her new memoir she talks about it at last, but it's pretty ho-hum (like the rest of the book) for local journalists. (This post written by Nation intern Morgan Ashenfelter) LAURA Bush’s memoir, Spoken From the Heart, was released on May 4, days after The New York Times spilled the beans on its embargoed content after a reporter bought a copy put out too early at a bookstore. Plenty of national coverage and reviews quickly followed. One incident in the memoir has received extended coverage: When Laura was 17-years-old she was the driver in a car accident that killed a high school friend, Mike Douglas, after she ran a stop sign (while chatting with a companion). It was old news, but she hadn’t spoken or written about it much before. While many of these articles read like breaking news, as if something was left undiscovered, most papers in Texas either ran wire articles about Bush’s memoir or ignored it. While the Jezebel site called the memoir “shocking” and Ann Gerhart of the Washington Post found the contents about the crash “startling,” Texans, on the other hand, don’t seem to agree. Mike Drago, city and regional editor of The Dallas Morning News, echoes Moser’s sentiment. Drago wasn’t sure if all Texans knew about the crash, but “readers of the Dallas Morning News did.” The paper covered the crash extensively during the Bush campaign for president, but neither Bush would speak about it at the time. The paper plans on reviewing the book and interviewing the former First Lady after the book hits stores. As for the accident, Laura Bush—surprisingly—was never charged for it, though fully at fault, nor received a ticket. The police report was partially illegible and lacked many details, including whether charges were filed. Texas attorney Keith Stretcher told USA Today in 2000 that he didn’t think it was unusual that charges were not filed in that era, but the mystery remains. Gerhart of The Washington Post speculates in her book, The Perfect Wife: The Life and Choices of Laura Bush that “perhaps Mike Douglas’s parents, who lived out in the country and weren’t part of the more affluent set in town, didn’t have the right connections to press for a more vigorous investigation."